Those easy runs are your “base” and should form the majority of your training (up to 80% of your total mileage or time). By “easy” running, I mean EASY. Relaxed breathing (you can comfortably have a conversation), and a low and stable heart rate (ideally below 150 for younger runners, and below 140 for those runners over 40 years old). From a physiological perspective, your blood lactate levels (the dreaded “lactic acid”) should be barely above resting, and your body is using a healthy mix of fat and carbohydrate to create the energy you need to keep moving. But what about Elite Runners? Elite runners (those clocking 80-100km/week or more) can often maintain this easy effort for relatively fast paces (5min/km down to as low as 4min/km), barely raising a sweat along the way. The problem arises with our less “elite” runners. Often what feels like “easy pace”, is actually a steadily rising heart rate and lactate level, increasing levels of fatigue and muscle soreness, often while gradually slowing down. It also means using carbohydrate/glycogen/sugar as the primary source of fuel, bringing the dreaded “bonk” closer! Known as “decoupling” (see figure below). In reality this is more like “moderate to hard” training, meaning less mileage can be completed in a week as more recovery is required between runs. But I’m an everyday plodder…. For our everyday plodders to run at “easy effort”, often they need to slow so much that they are either jogging awkwardly slowly, or actually walking, which will detract from the benefits of running in the first place. 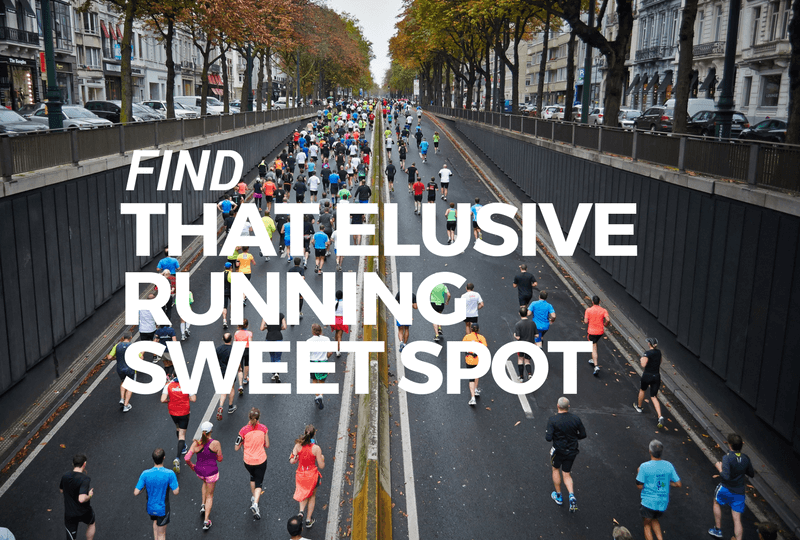 We want to be training at what is called the “sweet spot” – the pace where running feels comfortable, relaxed and efficient. It’s the point where your stride rate, length and body position just feel “right”, and you feel light and springy. From experience with all levels of athletes, this tends to be somewhere between 4:45-6:00min/km pace, depending on age, gender and height. This is by no means a strict regime - you can adapt to how you feel, but in practice they work well. I’m a big fan of shorter, more frequent walks (eg 30sec walk every 2:30, rather than 1:00 walk every 5:00). It keeps you on your toes, and tends to keep your brain fresh too as the runs get longer. But as with anything, do what works best for yourself or your athletes! Remember that you don’t need to walk for your harder runs (eg intervals or tempos) - the run-walk method is meant for those “easy runs” only.